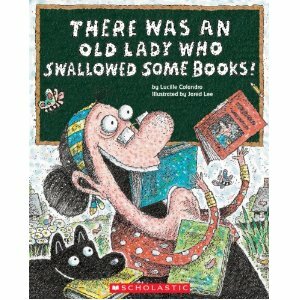 Title: There Was an Old Lady Who Swallowed Some Books! Description: Another version of the little old lady who swallowed a fly, but with a back to school twist…. 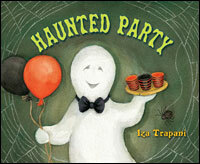 Why I like this book: There is something about this crazy old lady that kids seem to love. It always gets a reaction, and therefore some discussion, and participation. Have kids create their own, There Was an Old Lady Who Swallowed a X. 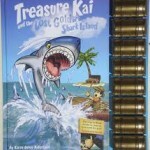 Would be great for reasoning skills, rhyming and story generation. You could use Story Patch app to make this story and even email the story home to share with parents. The educator reads the stimuli, and the student responds. You then press the appropriate button (i.e. not administered, correct, missed). The app provides an “info” button at the top of each page which provides the administration guidelines and exactly what to say. She has really thought of everything. There is a place to write notes on test behavior or patterns you’re noticing (i.e. difficulty changing set, needs frequent breaks, etc.). Information is saved. If you run out of time, you can always complete the test later, you can even “skip” sections of testing if it isn’t appropriate for your student. Once your testing is complete, you have the options of opening the results in PDF form within a program on your iPad (i.e. Dropbox, Evernote, Google Drive etc.) or Sharing it (i.e. emailing or printing). I’m really impressed with the results page itself. It looks extremely professional with all necessary diagnostic information included, description of the test, and interpretation of results. This is fantastic to share with families, and makes assessment a breeze. The Manual within the app provides age approximations for skills as well. If there is any user confusion with this app, Tanya has provided video tutorials, a very thorough manual, and easy access to Smarty Ears (the developer) via email. It can be administered in about 20 minutes or so. This is ideal for us treating therapists with many kiddos on our caseloads. It will be a great tool to re-administer to track progress as well. The results are organized in a visually appealing way, and explained thoroughly. Easy to share. Assessment has never been so easy. I look forward to more assessment tools being created for the iPad. Thanks Tanya and Smarty Ears for a great tool. You can find their description of the app here. *It is noted that this clinician received a promotion code for this app. However, opinions are entirely my own. 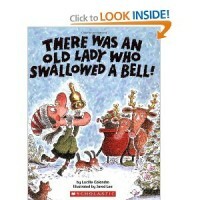 Title: There Was an Old Lady Who Swallowed a Bell! Description: Another version of the little old lady who swallowed a fly, but with a holiday theme. Create Boardmaker or google image pictures to help children sequence the story as you read, and/or for retelling the story after it’s complete. Encourage temporal markers such as first, then, next, after that, last. Another website (Making Learning Fun.com) offers the pictures already made here. Stress the rhyming words and/or provide the first sound and see if they can “fill in” the remaining sounds. Can they generate additional words that rhyme with each pair (bell/tell, weigh/sleigh)? 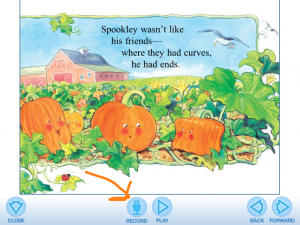 Can use our Talking Train app. Put one of the words on the initial engine car. Can they generate additional words in the remaining 3 cars? Generate words that start with the same sound? Great to also pair with the What Rhymes? 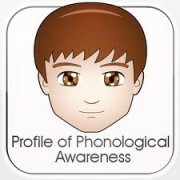 App, or Pocket Phonics App. Reinforce contextual “why” questions. Why did she swallow the bell? Why did she swallow the sac?, etc. Have kids create their own, There Was an Old Lady Who Swallowed a X. 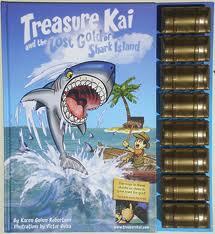 Would be great for reasoning skills, rhyming and story generation. You could use Story Patch app to make this story and even email the story home to share with parents. This could be a great “group” project. Why I like this book: The pictures are awesome, which elicits lots of language from students. There are goblins with pointy, dirty ears, who eat worms and eyeballs. Perfect for kids to comment on and laugh. There is one clear inference at the end of the story that children can make using picture clues and knowledge. Can pair with the Mindwingconcepts approach to inferencing “remember, know and guess” to help students put the pieces together. Description: A shy hippo watches other friends play, but doesn’t join in. Eventually the animal pack asks her to play, and even though she is nervous, she decides to join in on the fun. Great for discussion around joining others in play and/or including others in play. Great to pair with the “Joining Game” from our Social Adventures App. Help break down this skill for children and practice joining on going play. 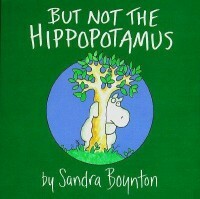 Create thinking and speaking bubbles for the Hippo in the story. What is she thinking/feeling? Why? Have kids role play what they would “say” to join others in play. How would they offer to include others? How could the hippo try and join? A rhyming story. Have children fill in the rhyming word when reading. Can they generate other words that rhyme with the pair? Lots of practice of /s/ in word final positions. 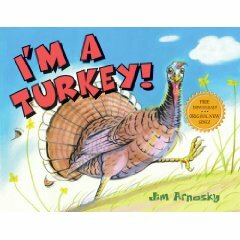 Have children imitate the words as you read. If a reader, have them read the story. Have children retell the story using temporal markers (first, next, then). Have students create the “sequel” as the story ends with an Armadillo feeling shy. What could the next story be like? Have children draw the pictures, and try to write the next story. Can they make the story rhyme as well? Good examples to teach “not” or “everything but” concepts around following directions. 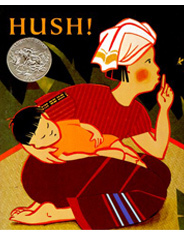 Description: A Caldecott Honor winning story of a mother desperately trying to keep the animals of the jungle quiet as her baby is sleeping. However, little does she know that her baby is awake the whole time. the body language is amazing in this story. Lots of examples for children to interpret, act out, and infer what she is thinking and feeling. Add cut out thinking bubbles above the mother’s head. the story is a good model for “who” questions (a person or animal) as the mother is consistently wondering “who” is making the given noise. Carry over to pretend play: If a group- Have kids “act” it out! 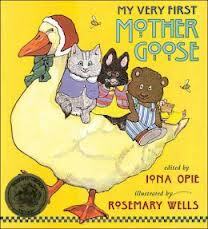 One “mommy” can tell the animals to “hush!” The repetative phrases are easy for kids to remember. If you don’t have a group, use pretend play toys and act out. A simple pretend play house would work- what could be making noise in the house that the mommy would worry about? (i.e. mail man, the dog, cars outside, etc.) Work on sequencing of play schemes.